There are tougher choices in life, to be sure. 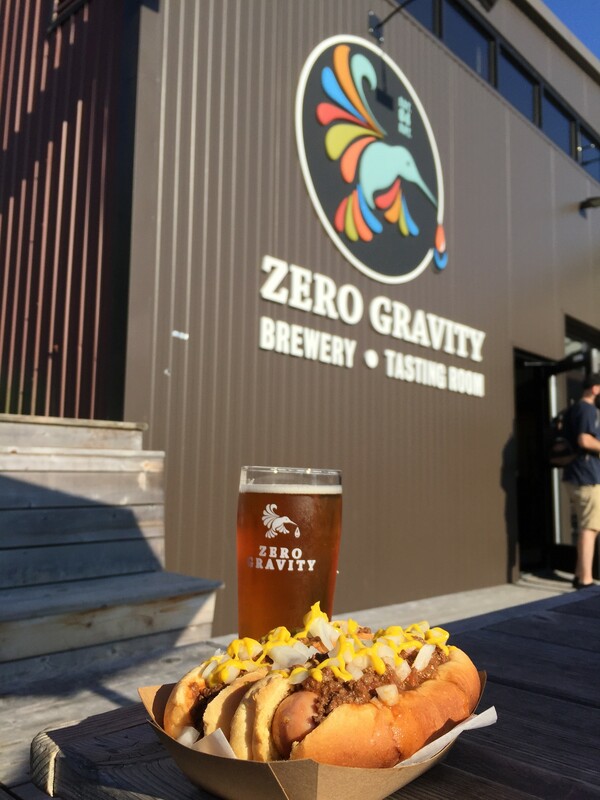 But, when I became a regular at Zero Gravity Craft Brewery last winter, the burning question of the day was often: lamb sausage or bratwurst? Coney Island dog or Italian sausage? Those Frank Pace-made bar snacks are available at the Pine Street brewery, where you can eat and drink for less than $12. As with most crucial decisions, a number of factors figured into my choice: Was I alone or with a pal? In the mood for Dijon or yellow mustard, kimchi or kraut? Did I feel like smushing a sausage down into its roll so I could take a bite without peppers and onions spilling onto the bar? Or did I desire a less messy eating event? In short, I became a pro at making the call. The other evening, after a failed search for the now-you-see-it-now-you-don't Lake Champlain swing, I decided to cool off with a beer rather than a flying dip into the lake. 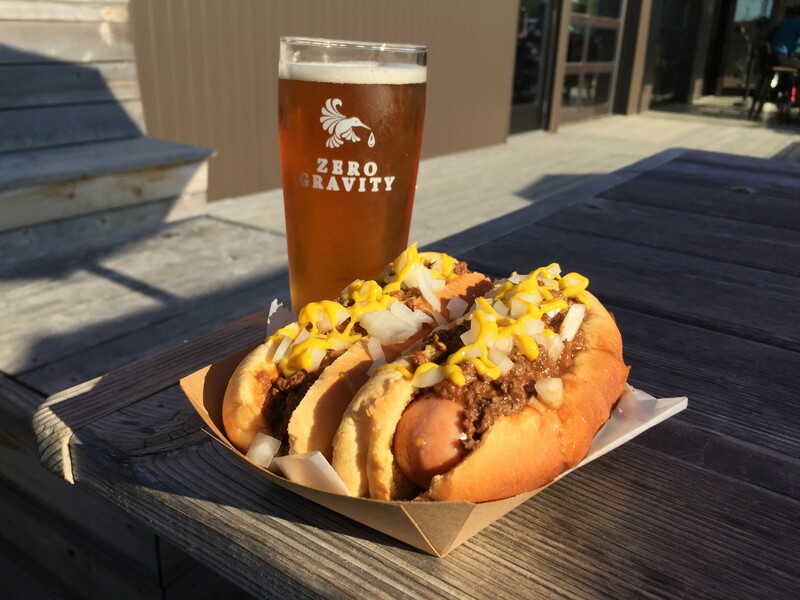 A friend and I snagged a picnic table on the patio of Zero Gravity and opted for the Coney Island hot dogs — two for $7. The grilled McKenzie dogs are topped with beefy chili, chopped raw onion, and a squiggly squirt of yellow mustard. I drank a 10-ounce pour ($4) called London Calling, an English-style session ale to go with my all-American meal. Two Coney Island hot dogs and a beer totaled $11. Six months ago, when I was passing time at the bar with Tmave (a dark lager) and bratwurst, taproom regulars were sometimes on the receiving end of a culinary treat courtesy of Pace. He was trying out stuff for the Great Northern, the adjacent restaurant he would open in May, and would pass around things like little oyster po' boys and pork belly something-or-others. Those days are gone. If you want to eat Pace food that isn't a sausage, go next door. Still, a couple of hot dogs and a beer are themselves a treat.